Opus Opera strives to create new and exciting artistic experiences by pairing vocal music with other creative art forms in order to brush off some of the stuffiness that plagues much of the classical art world. We welcome everyone to come discover the power, passion, and beauty of the unadulterated human voice up close and personal. We will offer intimate performances in non traditional venues that will immerse your senses in art of every kind. Arts integrated. Arts Innovated. Our signature "Circus and Arias" concert is set to return after much public demand here in New Orleans with new acts and arias. Our Fly Circus Company/Space partner, led by Liza Rose, will come back with some new numbers and the classics that made this show the cherry in last season's operatic offerings across the parish. A truly unique experience in the theater for the whole family! 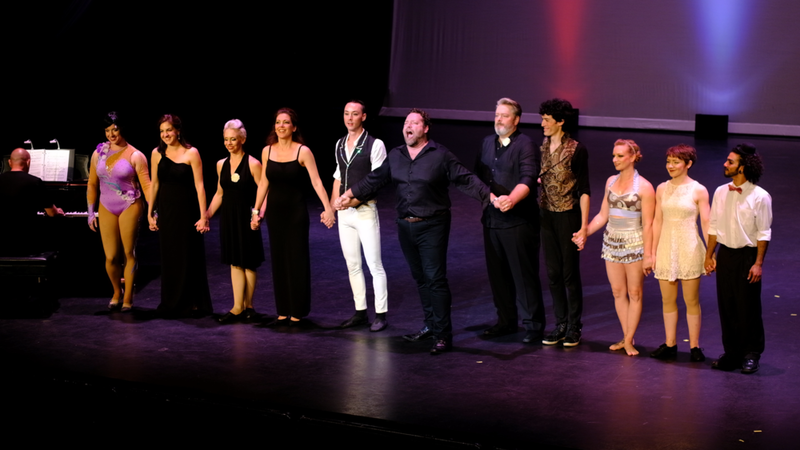 Bryan Hymel, Irini Kyriakidou, Christina Vial, Weston Hurt, and the amazing Rainelle Krause will all return to sing your favorite arias and operatic ensembles together with your favorite feats of the acrobatic arts. Come to the Civic Theater and sit on the edge of your seat with "Vocal Chills!" and "Acrobatic Thrills!"